Throughout the entire process of mold production, on the basis of understanding customer needs, manufacturer need to formulate the company quality policy, analyze and know the quality effect factors during mold production, then strictly control the key factors affecting the quality of mold production so as to ensure the final mold quality. Mold production is the key to influence mold quality, whole production can be divided into six parts. Mold structure: According to the customer's requirements, formulate the overall structure design of the mold, determine the mold performance, material, precision grade, etc. Manufacturer will review with the user as the basis for mold design and manufacturing. Every item needs to be strictly examined and controlled, and the mold structure is the best solution. Mold design: confirm the best mold parameters, geometrical tolerances and adjustments of all components according to the precision grade. 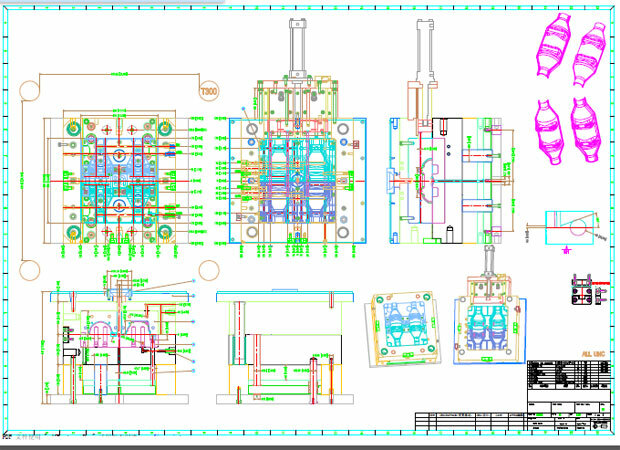 Design mold assembly drawings. Design punch-matrix mold and other nonstandard parts’ modeling and structure. Draw construction drawings, including correctly designing the parting, gate, runner, heating and cooling system, feeding, discharging and core-pulling mechanism of punch-matrix mold. Draft standard parts list and relevant production documents. Production preparation: make mold manufacturing process documents, purchase mold parts materials and standard components. External assistant process related parts and components. Prepare electrical processing electrodes, measuring tools and other technical equipments. Design and manufacture special fixtures, mold model based on production requirements. All purchased parts, materials and components should be checked into the warehouse. Manufacturing equipment should be regularly overhauled to ensure stable performance. Mold manufacturing process: According to the requirements of the manufacturing process documentation, optimize the processing parameters and processing sequence, determine the best processing technology plan. Prepare the process card of punch and die and non-standard parts processing, and choose best processing methods, forming processing machinery and heat treatment equipment, etc. ; Prepare the NC, CNC machining process cards, including: cutting tool, the best process sequence, process calculation and best cutting amount. Manufacture punch-matrix mold and non-standard parts, finish surface treatment. The manufacturing process documents and process cards must meet the standards to ensure quality. Mold assembly: determine the best assembly sequence and method; check the accuracy and quality of the parts and components; determine the assembly chain precision and structural parameters, and know the measures and technical methods for controlling accurate assembly. Mold assembly is the final control of mold accuracy, quality and performance, assembly personnel must have quality awareness. Mold testing and user Service: Determine the trial mold process plan; test the mold according to the user's production requirements; check the products (formed product parts); assist the user in loading and adjusting, and submit mold to the user after hours of continuous production. 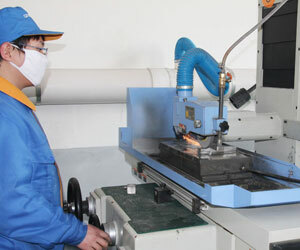 Trial mold is the final inspection of mold performance, quality and reliability. It must be tested in strict accordance with user's production requirements.